Take grilling to a new level with my Mole Glazed Grilled Pork Loin! Intense deep flavors of the mole, grilled to perfection. Last week I received a package in the mail from My Mom’s Mole. It was a bag of ready to use dried Mole. Traditional mole is a very complex sauce that takes hours to build the layers of intricate flavors. Who has time for that! Mole also uses and extensive list of ingredients which most of us home cooks do not have on hand. I was a little skeptical of a dried mole and how the flavors would come together. Mole is usually served as a sauce over grilled or roasted chicken and pork. I decided I would make a couple of recipes using My Mom’s Mole to see if I and my family would like it and if it tasted like a traditional mole sauce. 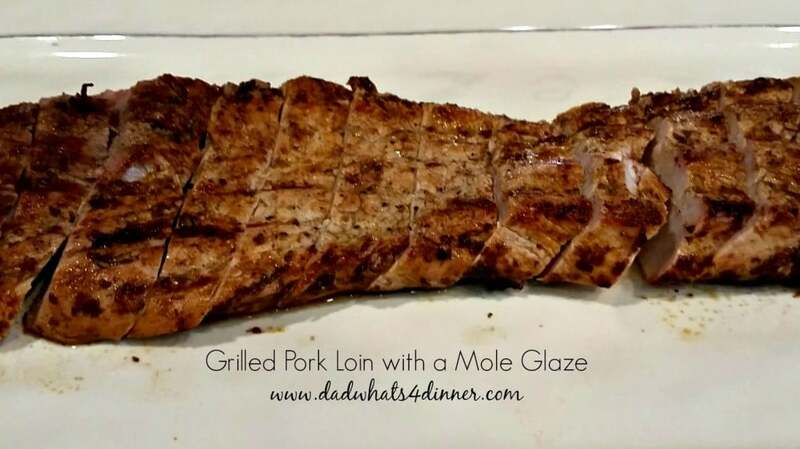 For my first recipe I decided to turn the mole into a basting glaze to make Mole Glazed Grilled Pork Loin . 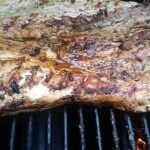 I butterflied a 3 pound pork loin and marinated it in a citrus marinade for a few hours. During this time I made the mole sauce. The mole was very simple to make. Add a little oil to a medium pot. Add 1 cup of mole to the oil and stir for 1 -2 minutes until the mole and oil is combined and starting to brown. Whisk in 2 1/2 cups of broth and bring to a boil. Reduce heat and simmer for 30 minutes. At this point the mole sauce is ready to use. I removed all but 1 cup of sauce to use later. I simmered the remaining 1 cup mole sauce for another 10-15 minutes to reduce down to form my glaze. I grilled my pork and brushed on the mole glaze. Cooked the pork for 7-10 minutes per side basting as I turned it. I served it with some grilled vegetable and the reserved mole sauce. The mole had plenty of flavor and the subtle sweetness of the sauce worked great with the pork and the smoke of the grill. My family loved it. Based in Watsonville, CA—the Strawberry Capital of the World, we are a Mexican culinary startup that produces & distributes a mole powder to a handful of local markets. We believe that our food can be responsibly sourced while retaining its cultural authenticity. 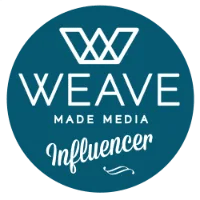 Our goal is to do business with people who believe what we believe. 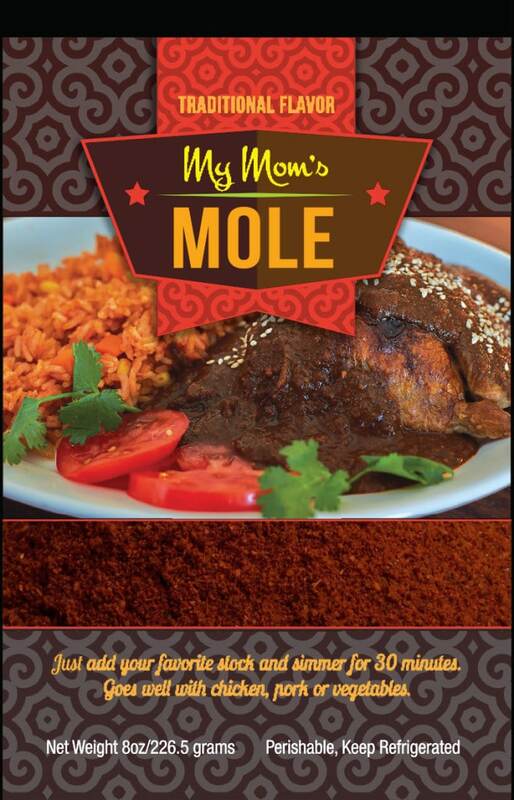 Our mole comes in powder form and is refrigerated giving it added versatility. 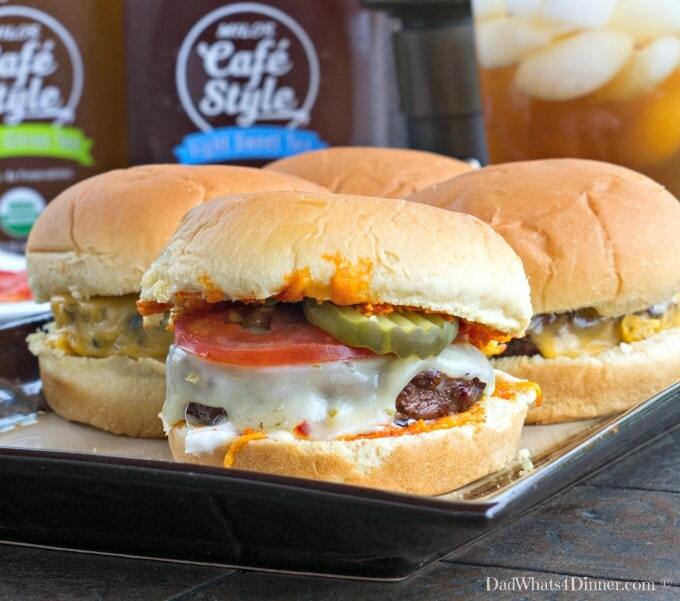 It pairs well with meat, vegetarian, or vegan dishes. We use no animal products in it. You can simply add it as a spice for a marinade or simmer it with your favorite stock to make mole sauce. It is easy to incorporate into a variety of dishes. Check them out at My Mom’s Mole website. I did not get paid or receive any revenue for this review. I was asked to use this product and to give my opinion. I also like to support start-ups like my own website Dad Whats 4 dinner. Whisk together orange juice through olive oil. Butterfly pork loin and place in zip-lock bag with citrus marinade. Marinade in refrigerator for at least 1 hour or overnight. Add 1 tbsp.oil to a medium pot. Add 1 cup of dry mole to the oil and stir for 1 -2 minutes until the mole and oil is combined and starting to brown. Whisk in 2 1/2 cups of broth and bring to a boil. Remove all but 1 cup mole sauce and reserve. Continue to cook remaining 1 cup mole in pot for another 10-15 minutes until thickened for glaze. 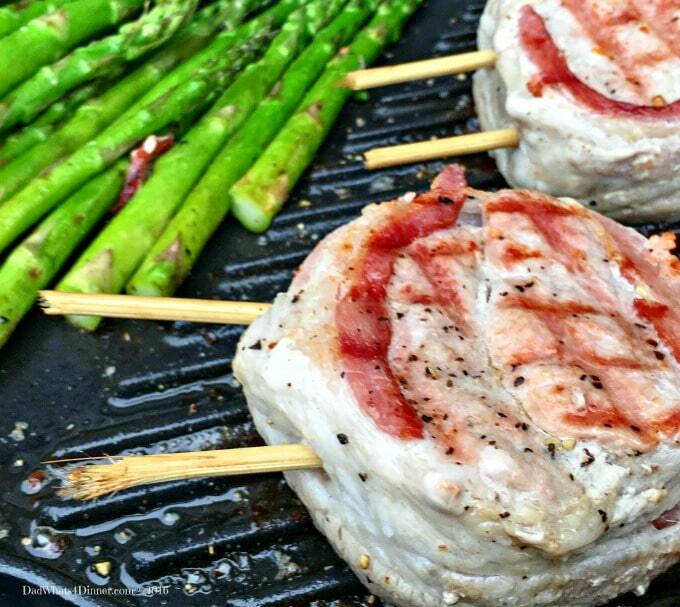 Remove pork from fridge and drain off marinade. Discard marinade. Grill pork and brush with mole glaze. Cook the pork for 7-10 minutes per side, basting with mole glaze as you turn the pork. Cook pork until internal temperature reaches 145°F. Serve with reserved mole sauce. 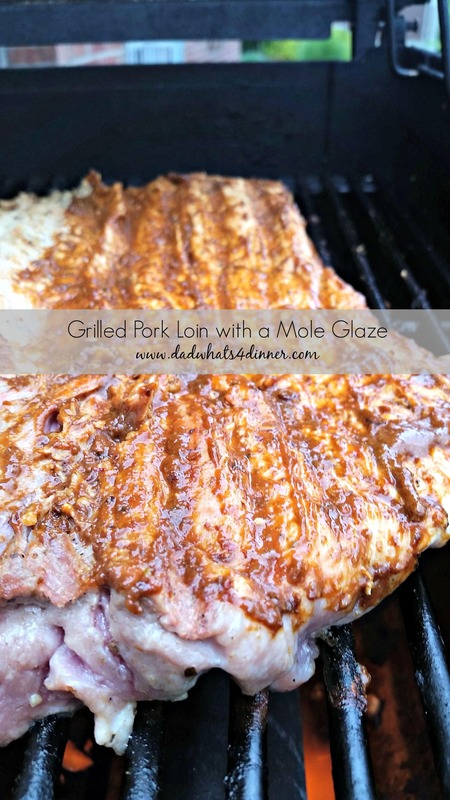 I will be bringing Mole Glazed Grilled Pork Loin recipe to Freedom Fridays, Friday Favorites, Fiesta Friday, Weekend Potluck, What’s Cooking Wednesdays. Checkout my Link Parties page for other great places to find new recipes. Thanks for stopping by Linda. Yes the mole used as a baste or glaze really brought out the flavors. Have a great week. That looks delicious. Mole is one of those intimidating things that I am not sure I am ready to try. But this, I think I can handle! Hi Carlee! Yeah me too. I was impressed with the freshness of the mix and how easy it was. It has the traditional taste of mole sauce . Thanks for stopping by. Have a great weekend!